Facebook is the popular social media/networking service launched in 2004 with 600-million active users today. With such a large audience at your fingertips, Granges should take advantage of the opportunity to communicate with users, and put their name and information into the public arena. Facebook claims that 50% of active users log into the site each day. This would mean at least 300 million users every 24 hours. More than 75 million Facebook users update their status each day. The Facebook average user has approximately 130 friends. More than 1,000,000 local businesses and organizations have active Pages. There are different types of profiles on Facebook? Which one is right for my Grange? Everything begins with a personal profile. Even if all you want is a page for your Grange, you need to start with a personal profile, and then develop a Facebook “Page” for your Grange. A Facebook personal profile is designed to be used only by an individual person, not a business or organization. (such as John Doe, not XYXY Grange). This is a common mistake that is made. You will see many organizations and businesses set-up as a personal profile. Most of us have our own Facebook profile and thus feel comfortable setting up a profile for our organization. But Facebook clearly states that using a personal profile for anything other than “personal” use is a violation of their Terms of Service. Periodically, Facebook will go through the profiles and delete those that are not set-up correctly. (This includes setting up an organization e-mail account for the Facebook login and making the name/birthday requirement those of your Grange.) They give no warning - if your profile is set-up incorrectly, it could be gone in an instant. Facebook personal profiles have limitations. There is a limit of 5000 friends and is usually private (hard to get the word out as they do not show up in search engines). Therefore, do not set up a Facebook Personal Profile for your Grange, just for you personally. The features are not designed for organizations such as the Grange and when Facebook finds you have set-up the wrong type of profile, they will delete you. A Facebook “Page” (not to be confused with the Profile described above) is designed for businesses or official representations of organizations (such as the Grange) or people (like a movie actor or recording artist). Facebook users are able to “Like” a Page and that Page is then indicated on their Profile as an organization that they Like. A Page allows your Grange to have a public Facebook presence, is find-able on search engines like Google and Yahoo, and can act almost like a mini website for your community. One person from the Grange creates the Page and becomes the first “Admin”. Then, that person has the ability to invite their Facebook friends to be additional Admins for the Page. When Admins post content to the Page’s Wall, they show up as the Page and not their personal profile. There are advantages to the Page versus the Profile. Once a Page has 25 “Like’s”, Admins can customize the URL of the Page as facebook.com/yourgrange. There are no limitations on the number of “Likes” a page can have, and no approval is required to "Like" a page. Admins can also send out Updates to all who “Like” the page. Another advantage of using a Page is that Pages have a feature called Facebook Insights. This gives users analytics and demographics on who is interacting with what content on the Page. Facebook Insights are not available on Facebook Personal Profiles or Groups. A Facebook Group is for people or an organization and allows users to “Join”. Groups can be invite-only (private) or open. Groups cannot have their own Facebook URL which can make it difficult to find in search engines. Also, users must be logged in to see and join the group. When owners of the Group post, they show up as their personal profile rather than showing up as the Group. This can blur the lines of personal and professional use of Facebook. One way that organizations take advantage of both sets of features (Page and Group) is to create a Page for their organization, then set up a group for a specific target audience, such as only Grange members. Note that Facebook is currently going through the process of updating all Groups. If a Group does not take proper update procedures, the Group will be archived, and thus become inactive - no longer allowing posts or activities. Having a Facebook profile is an essential part of effective communications. If your Grange has contests, photos and videos, events, and more, Facebook provides an easy way for you to upload and post various types of information to your Page and connect with your readers. A well-run Facebook Page helps Granges collaborate, connect easily, and increase their network of members, volunteers and supporters. If you are interested in setting up a Facebook Page for your Grange, directions can be found in the orange “Social Media Guide” that all Granges received as part of their Public Relations packets. Copies are also available as a PDF download from the CT State Grange website at http://www.ctstategrange.org/downloads.asp. You can also contact your Public Relations Committee for assistance. 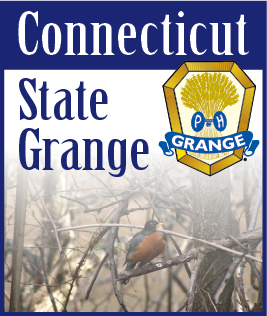 Once a Facebook Page is set-up for your Grange, please let us know so that we can promote your Grange Page from the Connecticut State Grange Facebook Page and other Social Media entities.